There’s no shortage of good food in Rome, but it’s also possible to strike out too, especially in the historic center. It used to be that Rome’s center was chock full of “antica trattoria” places with bright lights and no frills, but good, inexpensive food. More and more these are being taken over by swanky, design-driven, overpriced restaurants and the real McCoys are harder and harder to find. Being armed with a smartphone with a wealth of information at your fingertips should make this a problem of the past, but with connectivity issues, and a cluttered app store, it can be difficult for the power of technology to save you from a bad food experience. As a foodie myself, I often have a hard time following the suggestions of others who have made food their business. I’m critical and difficult to please, and am skeptical of suggestions that make good, healthy food only available for The Elite. I don’t like elaborate, expensive food — or at least, I don’t appreciate the experience of paying for elaborate, expensive food, and since I know how to cook virtually everything I like to eat, the dining out experience isn’t always that pleasurable for me. As part of a family of 5, it’s also painful paying full price for the untouched dishes of a few of my picky eaters. There’s a glut of food apps out there, but many of them are written by researchers who don’t live here, or are just writing about the same places that have been in many of the same books for decades. 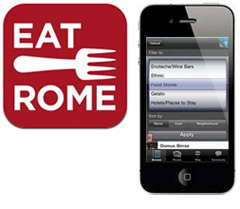 Recently, I had an experience with one of Rome’s food apps that gave me the satisfaction of having a great food app on hand. I found myself in the center around lunch time, and was about to meet a friend who was getting in a cab. She was low on cell phone credit, and needed a name, any name, to give to the cab driver of a place to meet. 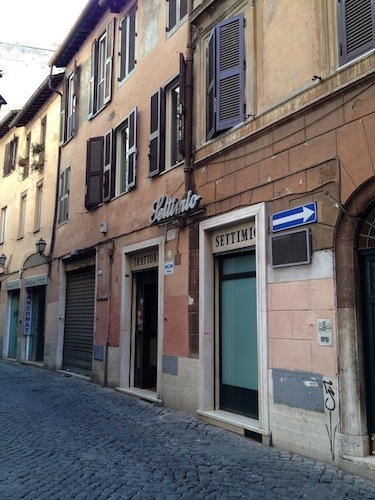 I quickly looked into the Rome for Foodies app by Katie Parla based on where I was and told my friend, “Settimio al Pellegrino on Via del Pellegrino, 117″. Since Katie’s description said that they were often packed and scrutinized those who wanted in, I decided to go straight there and see if I needed to book a table before my friend arrived. It was just nearing lunch time and they were in the process of cleaning and prepping, so I buzzed and the older woman who owns the place came to the door. I asked her if I needed to reserve for lunch and she said no. I told her I’d be back in 15 minutes and to remember me and she said, “with blue eyes like yours, how could I forget?”. Fortified with that boost to my ego that only a compliment from a woman in her 70s can bring, I was back there on time and told my friend that Katie’s app already had my full approval, even before I’d seen the menu. And this from a place that was supposed to be picky about who they served – I felt like a star! Settimio also stood up to the good/cheap/non-pretentious test. We had a soup of rice and bieta, essentially a dish that an Italian grandmother makes the day after eating risotto and there’s leftover rice. We then had a mix of vegetables and my friend had some meatballs. All extremely simple, with only oil and salt to flavor it, and yet very tasty. I felt a sweep of nostalgia for my earlier “lira” days in Rome when homemade food could be simple, good, memorable and reasonably priced. Rome for Foodies was created by Katie Parla, a journalist and food blogger with a BA in art history from Yale, a degree in Gastronomic Culture from Rome, AND she’s a certified sommelier. In other words, she knows her sh*t!. She’s written for guidebooks, contributed to major newspapers, does food tours, and now has this mobile app of her personal recommendations. 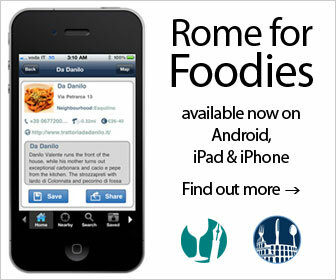 Eat Rome was created by another highly respected food author, Elizabeth Minchilli, who also has an Eat Florence app. Elizabeth also has a background in art history and is a Rome local of many years, when not at her Umbrian farmhouse. She’s written numerous books on Italy and has appeared on television shows as a food, travel and style expert for Italy. 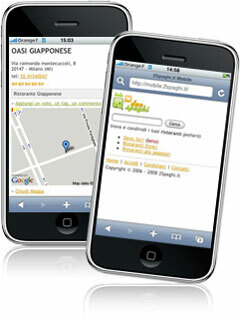 For those who can read Italian, or would enjoy trying, there’s 2Spaghi, an app of food recommendations with user feedback ratings. As it’s made by Italians, for Italians, the criticisms can be ruthless and the expectations, and thus the quality of places reviewed, can be quite high. Since the app is ‘gratis’ (free! ), you might download it just for the free language lesson. 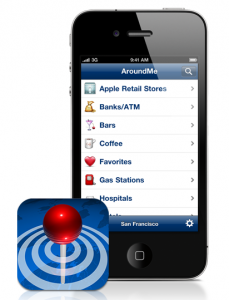 Another freebie that’s worth downloading is Aroundme. Everything in the app is aggregated from totally impersonal sites, so nothing is a personal recommendation, nor is there feedback. If food quality doesn’t really matter to you, or there’s nothing around you that the others apps can suggest and your main criteria is that you just find something, anything, near you, then this one can be helpful. This entry was posted in Food, Insider tip, Rome. HA! Teresa is such a flirt! So glad you enjoyed Settimio al Pellegrino and the GPS function served you well. Thanks for the great write up! Thanks Trudy! No problem Elizabeth – Eat Rome is great – well written and the fact that you also did Settimio was like the double whammy recommendation.